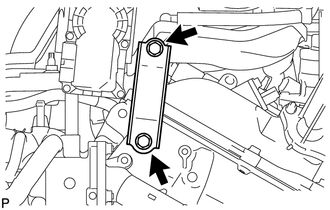 (c) Remove the bolt and engine oil level dipstick guide from the timing chain cover assembly and oil pan sub-assembly. (d) Remove the O-ring from the engine oil level dipstick guide. (a) Remove the 2 bolts and throttle body bracket from the intake air surge tank assembly and timing chain cover assembly. 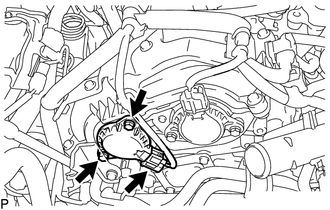 (a) Disconnect the connector from the camshaft timing oil control solenoid assembly. 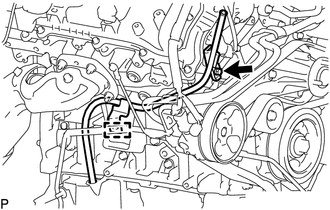 (b) Remove the 2 bolts and camshaft timing oil control solenoid assembly from the timing chain cover assembly. 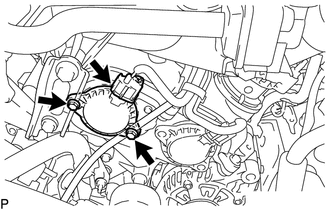 (c) Remove the O-ring from the camshaft timing oil control solenoid assembly. 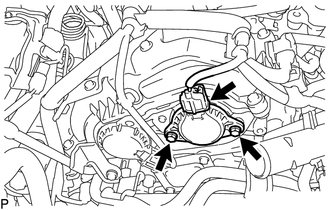 Make sure to remove the O-ring completely, as the O-ring may remain on the timing chain cover assembly side. 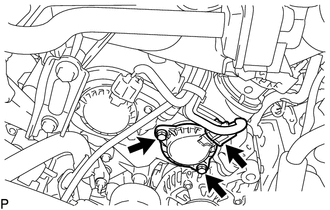 Do not drop the O-ring into the timing chain cover assembly.